Quick Release Cold Knife. A quick pull of the lever releases the blade. Insert the blade at any depth and return the lever. Pull Handle is attached to the knife body not the blade. 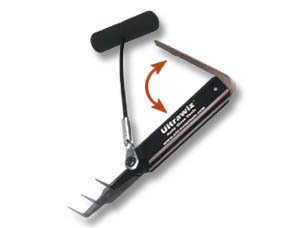 Can be found under Auto Glass Tools and Supplies in the Western Glass Supply catalog.